Hardly a week goes by when I don’t hear from a reader wondering about the origins of a bogus credit card charge for $49.95 or some similar amount for a product they never ordered. As this post will explain, such charges appear to be the result of crooks trying to game various online affiliate programs by using stolen credit cards. 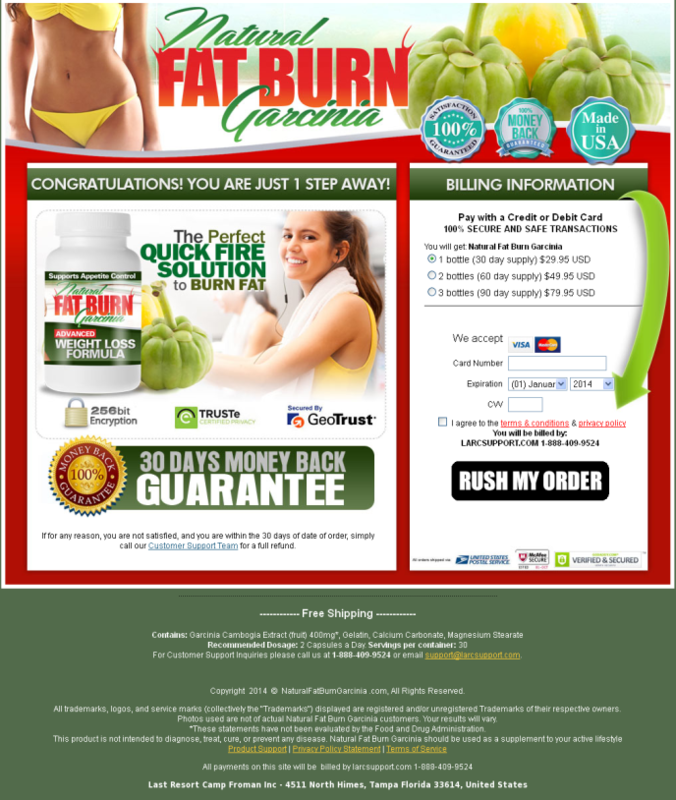 Bogus $49.95 charges for herbal weight loss products like these are showing up on countless consumer credit statements. Most of these charges are associated with companies marketing products of dubious value and quality, typically by knitting a complex web of front companies, customer support centers and card processing networks. Whether we’re talking about a $49.95 payment for a bottle of overpriced vitamins, $12.96 for some no-name software title, or $9.84 for a dodgy Internet marketing program, the unauthorized charge usually is for a good or service that is intended to be marketed by an online affiliate program. Affiliate programs are marketing machines built to sell a huge variety of products or services that are often of questionable quality and unknown provenance. Very often, affiliate programs are promoted using spam, and the stuff pimped by them includes generic prescription drugs, vitamins and “nutriceuticals,” and knockoff designer purses, watches, handbags, shoes and sports jerseys. It is no surprise, then, that online affiliate programs like these often are overrun with scammers, spammers and others easily snagged by the lure of get-rich-quick schemes. In June, I began hearing from dozens of readers about unauthorized charges on their credit card statements for $49.95. The charges all showed up alongside various toll-free 888- numbers or names of customer support Web sites, such as supportacr[dot]com and acrsupport[dot]com. 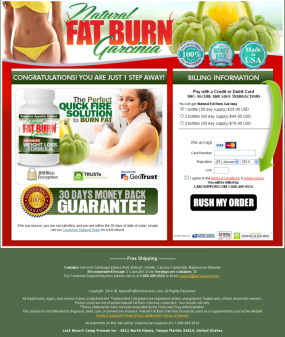 Readers who called these numbers or took advantage of the chat interfaces at these support sites were all told they’d ordered some kind of fat-burning pill or vitamin from some random site, such as greenteahealthdiet[dot]com or naturalfatburngarcinia[dot]com.